My go to pizza sauce is the can of Don Pepino sauce. I recently had to eliminate more foods and one of them is an ingredient in this sauce! 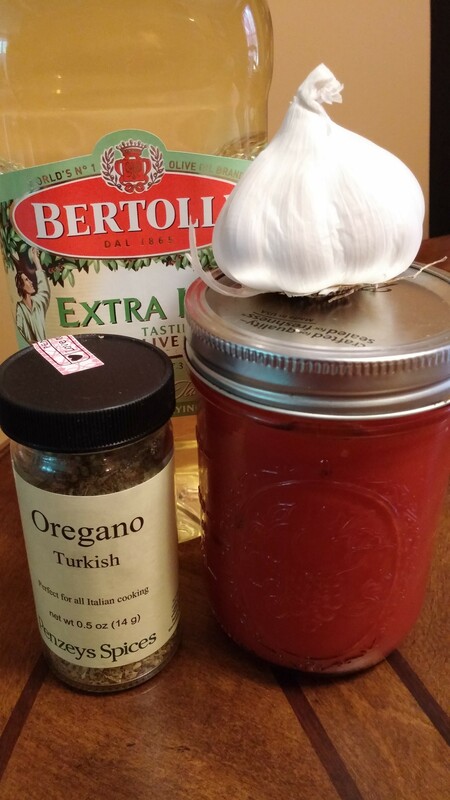 I started online looking for a recipe for homemade sauce. I make most things from scratch but had never made pizza sauce before. 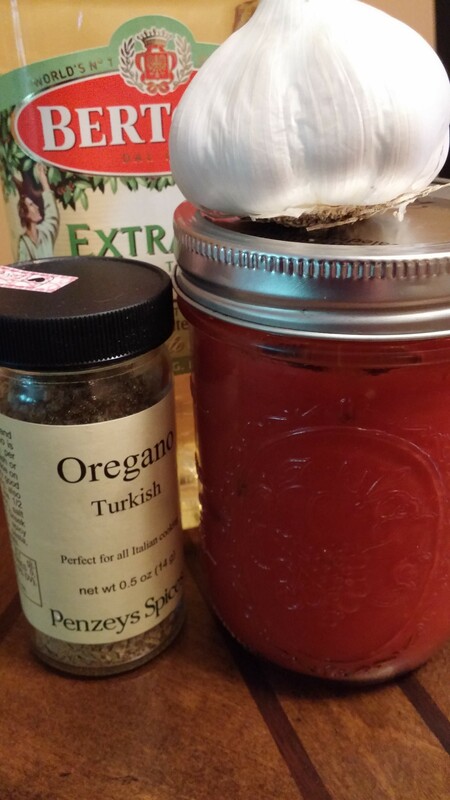 I came up with a pretty tasty sauce inspired by a recipe from Cat Cora on the Food Network. It is so easy, just put everything in a wide mouth pint size mason jar and shake it up! Most of the ingredients you probably have on hand too! Enjoy and have a beautiful day! Shake in a wide mouth pint mason jar. If the tomato paste doesn’t mix well use a whisk first. ENJOY!